Our blog cruise topic for this week is summer camping. Well, we are an outdoors family and we love setting up the tent and cooking over a campfire!! However, we live in Florida, and summer camping down here is usually hot…sticky..and plagued with mosquitoes!! So, down here we look for alternatives to traditional camping!! One option is to use one of the cabins available at our many state parks, like one at Hontoon Island. This is a beatiful park accessible only by boat, with hiking, fishing and other activities available. Cabins are affordable, costing $30-$35 per night. They include an indoor fan, as well as a screened in porch to protect you from the bugs. Another option is to camp in an area close to one of our freshwater springs, which even in the summer, are refreshingly cool. Ocala National Forest has many of these! (In Florida it is important to stick with swimming in cool water when you are freshwater swimming, because of the danger of amoebas! And of course, we are always on the lookout for alligators!) If you have an RV, then there are also many options for you, including camping at Disney’s Fort Wilderness resort! A third great option is indoor camping at some of our local attractions like the Orlando Science Center! In cases like that, not only do you get to “camp out”, but there are also many cool activities involved!! When all else fails, and the urge for our boys to “camp” strikes and the weather is less than perfect, we let them set up their individual tents in their bedrooms and pull out the sleeping bags! For some reason, even though they are still in their bedrooms, my boys think this is really fun!! We do look forward to when the weather cools down and we can pack up the tent and go have some fun!! How is summer camping where you live? High School!! Am I ready for this?? Okay, so far our homeschooling journey has gone pretty well! We started three years ago when my oldest son was in 6th grade, and we’ve had fun. My boys test scores always come back fine, and we’ve enjoyed learning and exploring together. I enjoy teaching my boys, and I, usually, feel pretty competent in my ability to do so. But, this next year, we will enter into the area of high school education, and I have to admit, I am nervous. You have to remember, I was what you might call a “reluctant” homeschooler. When I first heard about homeschooling, my oldest was about to enter kindergarten. As a teacher, I admit, I thought the whole idea was kind of…well..strange. Why wouldn’t you send your kids to school? 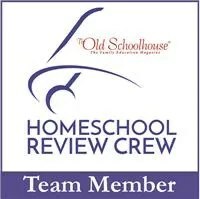 When the Lord laid the call to homeschool my own kids on my heart my first reaction was “really?? are you sure?”. It took a while for me to submit to that idea. Now, of course, I realize it is the exactly right thing for our family, but that wasn’t my first reaction. So now, here I am, a mathmatically challenged mom who loves reading and history but despised chemistry in high school facing the challenge of teaching these things to my boy. And what about those credits and transcripts?? How do I make sure I am doing what I need to so this boy can go to college (which he definitely wants to)? And what about the umbrella school option? How does that work? I have to say, I do kind of like the idea of having someone to “hold my hand” through this process…so would that be a good way to go? For now, I am constantly reminding myself that we are in His hands living in His will, and praying He will lead me to make the right decisions. In the meantime, I am spending some internet time researching the different curriculum and other options available. IXL is an online math program used around the world to help kids practice their math skills. 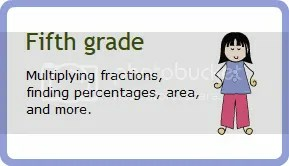 The program for each grade level is aligned to state standards, and offers practice on various math concepts. As a parent, you have access to mulitple reports on your childs progress, including how they are progressing on those standards. 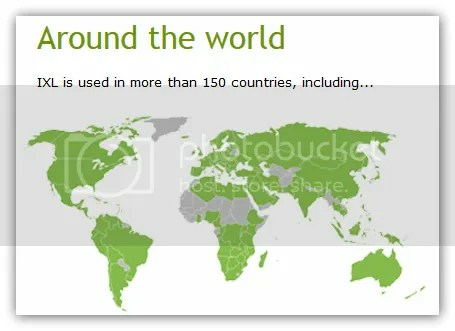 IXL is used in schools, and homeschools, around the world. 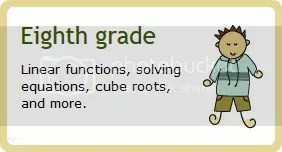 I used this program as additional practice for my 5th and 8th grade sons, and they enjoyed it (well, my youngest “enjoyed” it, my oldest “didn’t hate it” but for him, when it comes to math, I consider that a success!). As the parent, you set up accounts for you and your children. You log in from the main page with the general account info, but then you are prompted to “choose” who you are (i.e. “mom”, “child 1”, “child 2” etc.) and enter your password. As the parent, I can look up my kids reports, or I can play on IXL myself, which I did! I practiced a little from each of my boys grade levels, as well as some others. I will say this isn’t really a math “instruction” program, as much as it is a math “practice” program. If your child is not familiar with a particular math concept (like “create frequency tables”) they would need to learn how to do that concept first, then practice it on IXL. There are no videos showing you how to do the problems, however, if you get a problem wrong, you can click on “explanation” and it does tell you how to solve the problem. You can choose which topics you want to practice, which is nice, because I chose to focus on those things my boys really needed to work on. For my younger son, this was multiplying and dividing fractions. His first lesson, didn’t go so well, but as time went on, he did get better. As your child works through problems, a timer keeps track of how long it is taking, and their score goes up and down, depending on if they got the problem correct or not. As their score goes up they earn award “ribbons” which they can use on the rewards board. Basically, they earn “pictures” of items (like a fruit stand) on a checkerboard as they master certain concepts. My youngest thought this was cool, my oldest kind of rolled his eyes, but 8th graders are like that!! My youngest did need to use scratch paper to solve some of the problems, as he couldn’t do them all in his head. My oldest son needed practice in polynomials, so that’s what I had him do. Now, this boy does NOT like math, so getting him to do anything is a chore. IXL wasn’t as bad, because the lessons can be as long or short as you choose. Since this was additional practice, I asked both of my boys for 15 minutes each time they logged on. My older son did pretty well with this program, although he would get frustrated because he would sometimes hit a wrong button on the computer and his answer would be wrong, which caused his score to go down. I told him he needed to slow down and pay attention to what he was doing! It’s funny how someone can be a perfectionist, but still not want to pay attention to details!! I liked the fact that I would get a weekly email report of my kids activities and progress, in addition to being able to log on and look at these reports anytime I wanted. There is a LOT of information included in the reports, like how long your child spent working, what they worked on, how they did, etc. etc. This makes if very easy for me to track what my kids are doing, without having to be over their shoulder every second. The IXL program also adapts to your child’s level, increasing the difficulty in the questions as your child improves. IXL costs $9.99 per month or $79.00 for a one year membership. That is for one child, for addtional children you would need to add $2.00/month or $20.00 per year. That means this program would cost me $99.00 per year to use with both my kids. While I do like the program, that is quite costly, and I’m not sure I would find room for it in my budget, especially since it is just for extra practice. However, I would definitely consider a monthly membership for the summer, just so my kids could have an easy way to practice their math skills while we aren’t formally doing school. *Disclaimer: I was given free access to this program in exchange for writing this review. All opinions expressed are my own. Do you, or your child, like to read magazines about nature? Do you love to see beautiful pictures and learn about far away places? Would you like to have all of this written from a Christian point of view? 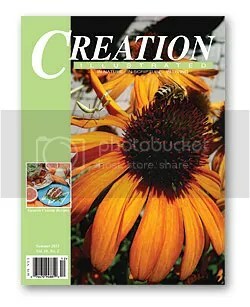 If so, then Creation Illustrated is for you! 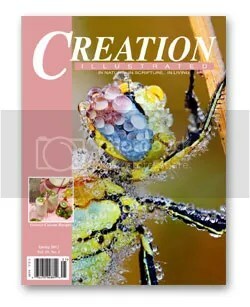 Called “the Christian answer to National Geographic” Creation Illustrated is a magazine devoted to exploring God’s world! Published four times a year, this magazine features articles, pictures, and even recipes!! Each magazine is divided into three sections, Nature, Scripture, and Living, to provide “Mental, spiritual, and physcial enrichment”. 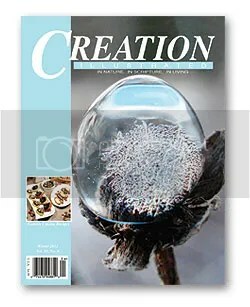 For this review, I received four issues of Creation Illustrated to peruse, and I loved them! First of all, the pictures are truly just beautiful! One issue featured hummingbirds, and another stars, and I honestly wished I could blow the photos up and frame them! The articles are well written, with scriptural references to passages of the Bible that point to God’s hand in creation. I particularly enjoyed the “My Walk with God” articles, which describe the authors personal experience with God in creation. Since, in our family, we will typically browse magazines and share things we find while we are eating dinner, I put these on the dinner table one night. Not only did my kids enjoy reading them, but my husband did too!! 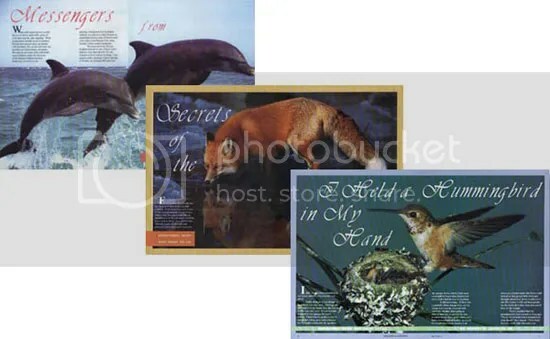 My youngest son loved all the animal pictures, and my husband really liked how the articles are so God-focused. We had fun sharing and discussing the different articles (and passing the magazines around) for many days! As I mentioned, recipes are featured in the magazine as well, and they come in convenient cut out 3X5 card size. I cut them out and showed them to my kids, and they picked a couple to try out. The creation stewardship section also led to many good discussions in our family! 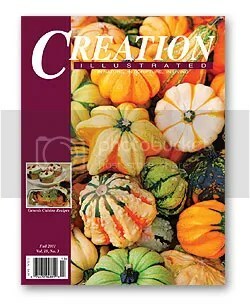 At the end of each issue, there is an instructional guide, that features questions for discussion as well as suggested activities that relate to the theme of the magazine. Though we had our own active discussions after reading the articles, I did go back and choose a few questions and activities from this section for use later! *Disclaimer: I received free access to this product for the purpose of writing this review. All opinions expressed are my own. Pearson Homeschool offers a variety of products for homeschoolers in grades K-12. 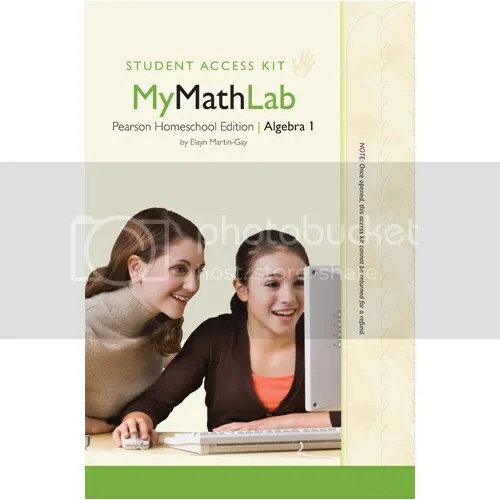 For this review, I received access to their My Math Lab Algebra 1 program. I used this with my oldest son, who completed pre-algebra this year, as an 8th grader, and is moving into 9th grade. This is a digital product, which involves you and your child accessing the content of the program on the internet. 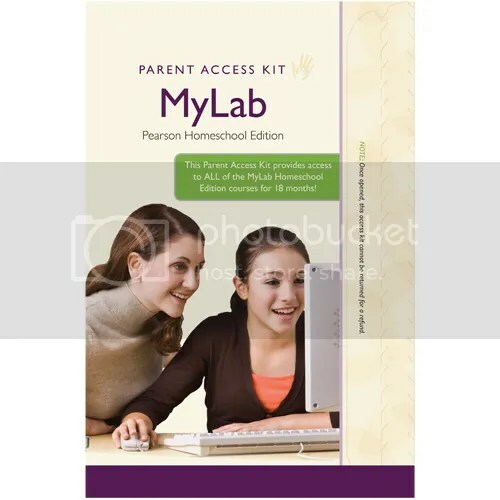 My Math Lab includes both parent and student access codes. Now first, I have to say that advanced math is not my strong suit, nor is it for my oldest boy (guess he gets that from me 🙂 ). In our house, my husband and my younger boy are the math lovers. Therefore, I was very nervous about starting upper-level math with my son as he went into high school. Obviously, math is important, and I wanted to make sure he would be successful. I had been stressing out about signing up for a co-op, doing an online or video product etc. when the chance to review this came up, and I was very happy to do so. I have to say, I wasn’t sure about an all-online program at first (I mean, don’t you need a textbook for math??). Wow, was I impressed with this Pearson program!! First of all, once you sign up, it is very easy to navigate. You have to register an account for both you and your child, using your specific access code, but the directions are very specific and easy to follow. Once you are set up, as the parent you can monitor assignments, grades, set up your calendar, change the mastery level for assignments etc. etc. This was a blessing, because sometimes I find it difficult to wrap my head around how to manage these online programs! The math itself was excellent!! Your child has access to an interactive e-textbook (which my sound found very clear and easy to use) and lessons are basically just click and go! After your child goes through the textbook portion, they work on the “homework” assignment, which is just practice problems related to the lesson. The number of problems vary, but even when there were 30 problems, I would say it didn’t take my son more than hour to complete, which I think is an acceptable amount of time for upper level math. If you have a student who is “mathy” they may finish sooner. I love that the Pearson Homeschool motto seems to be “Because you know what matters most”. I do know what is most important for my child, but like anyone, sometimes I need a little help getting that across to him. Up to this point, math has been a struggle for my oldest child and I. I wouldn’t say he is now a math lover, but My Math Lab is by far the program he enjoys doing most. He really feels confident in his knowledge at the end of the lesson, and I like the fact that if I need to, I can sit there and go through the lesson with him and help him when necessary, but he can also do a lot of this on his own. He took his first quiz in the course(there are periodic quizzes and tests throughout) and did very well. He was so proud of himself!! I will definitely be looking at purchasing My Math Lab Algebra 2 when we get there, and I really hope they make one for geometry!! *Disclaimer: I received free access to this product in exchange for writing this review. All opinions expressed are my own. I have to read in the summer? I thought school was over!! The topic for the first Blog Cruise of the summer is “summer reading”. This brings many things to mind for me…first, my own school experiences of summer reading programs. Now, I am a reader by nature, and I always have a book or two on my nightstand, but a lot of the time, the books my schools chose for summer reading were just boring!! There were very few that I enjoyed, and I usually put off reading them to read other books I actually liked, and then had to scramble to finish my school books up in the weeks before school started!! NOT a fun experience. That said, I do think it’s important for kids to read a little every day. I consider it “brain exercise” :). So, yes, I do require both of my boys to read each day, but I do let them choose WHAT they want to read. (During the school year, there are certain novels that are required, but I want summer reading to be fun). With my oldest, this isn’t really a problem because, like me, he LOVES to read. Sometimes he reads so many books so quickly, it’s hard for me to keep up. Currently, he is finishing the Hunger Games series, reading the first book of the Left Behind series, and anxiously awaiting the publication of the next Rick Riordan book! My youner son, is a different story. He would rather play with his legos than read a book any day. In fact, the most success I’ve had with him and reading have been books about legos. During the school year, I do require him to read novels and chapter books, but in the summer, I ask him to simply give me 15 minutes a day of reading something. Usually, this means he is reading a comic or a Popular Science magazine, but that’s okay, as long as he is reading. He does have some books he enjoys, he likes Star Wars books, and the Diary of a Wimpy Kid series. He also started The 100 Year Old Secret, which is part of a series about Sherlock Holmes grandkids, which he likes too, but for the most part, he is my non-fiction reader (aside from comics). While we do make a weekly trip to the library, my mother in law got both of the boys Nooks for their birthday this year, and this seems to have added a new dimension of fun to their reading. Sometimes we go to Barnes and Noble and I sit and have a coffee and read magazines (no, sadly, I do NOT have a nook 🙂 ) while they read on their Nooks. For some reason, to my younger son, reading on a computer type device is just cooler than reading an actual book!! One thing that is required (and surprisingly easy on the Nook) is daily Bible reading. The boys were actually able to download a Bible app on their Nooks that includes a daily reading plan, so before bed, they have to do their Bible reading and devotion. Recapping the year and looking ahead! Well, we have officially be done with school for almost a week now, and after a few days of relaxing and getting some much needed spring cleaning done around my house, I am ready to start thinking about next year!! For now, I am looking forward to a few mini-vacations we will be taking this summer, and I do plan to enjoy some of this time off! I hope you all have a lovely summer as well.